Growing up in a very large family meant we had to be a frugal family. Early on, I learned to walk into a store and head right to the clearance rack. What you needed – or what you wanted – you always bought on sale. Greg, too, is very practical when it comes to money, only he has wisdom is ways I lack. Like in the area of generosity. He taught me the incredible joy of giving, in fact giving until you felt it. From him I learned to find a joy found not any where else. A joy when you bless someone who can never bless you back. Oopps…I digressed. (That can happen easily when you get me talking about my husband). Greg also knew something about money and making the most of it. He knew the power of waiting. Our first home we filled with furniture scooped up at yard sales, hand-me-downs and thrift shops. I was good with that! I was just thrilled to be married to the man of my middle school dreams. Then the day came when I wanted something new; something that reflected our personality. I wanted our first couch. I knew I had found just the right couch for us the day I walked into the 50% off sale at Haverty’s. The thrill of the sale. The picture of it it nestled in our living room. Plus…50% off! Rushing home, I told Greg all about the perfect couch for us…and the perfect price. His comeback, “Lynn, there will always be a sale. Besides, we haven’t saved enough money yet.” From the day we got married, we started a pack with each other. If we couldn’t pay cash, we couldn’t have it. Up until then, our policy hadn’t been a problem. But now…I wanted a new couch! A thousand dollars is a lot of money. How long would it take? Much longer than the Haverty’s Half Off Sale! We finally saved our money and just like Greg said, the couch went on sale again. But I learned something very important with that first big purchase: the rush of the purchase fades much faster than the money is earned. For over 27 years, Greg and I have stuck to our “pay with cash” policy and it has served us well. The waiting we have experienced has given us time to appreciate the item before it is even purchased and often, by choosing to wait, we have found we really don’t need that flashing, blinging thing after all. Because in the end, giving it away is a whole lot more fun than buying it away! That’s our Secret #13. In her new book, Living Well Spending Less, Ruth Soukup shares 12 secrets for seeking—and finding—the Good Life in our day to day lives. From time management and goal-setting to managing our homes and finances, these practical and concrete strategies can help each of us discover a life rich with purpose. Even so, a life well lived is not so much about what we have as who we are, and ultimately each one of us holds the key to our own secrets. Secret #13 is the truth I have uncovered as I have discovered my own Good Life. 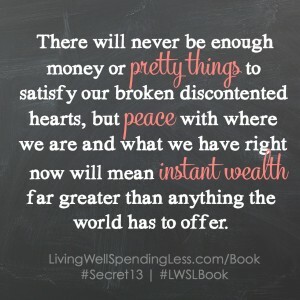 Overcome the destructive cycle of “more is never enough” by instead learning to choose contentment right where we are. Step off the treadmill of always trying to keep up, and instead take back your time by making simple shifts in our daily habits. Stop busting our budgets & learn how to cut our grocery bills in half by making five simple tweaks to the way we shop. Create a practical, workable cleaning schedule that works for our own home and family situation. Develop a concrete plan for sharing the Good Life with others in order to bring lasting joy and peace. 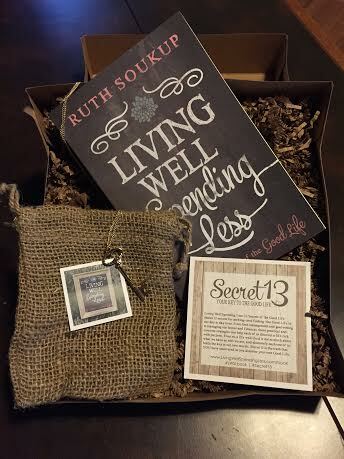 Today, I’m giving away a copy of Living Well; Spending Less along with a beautiful key necklace engraved with “Secret 13”. To enter for a chance to win, just share your own “Secret 13” to living the Good Life. I can’t wait to hear from you! If it’s a busy day, just say, “I’m in!” I’ll announce the winner on Friday! « Can't You Hurry Up, God? Thrift shops on their monthly 50% off days!!!! Over 13 years of marriage and 3 quickly growing children we have learned some tough lessons on money. The only new thing in our home is shoes. It is amazing how we have learned that we don’t have to have new and that delayed gratification is the best…. I am jumping in with both feet. For years we dealt with huge credit card debt. Now, we are cash payers and have been for a little while. I need to read this book. Thanks for the opportunity to enter the contest. I shop at Marshall’s for discounted clothes and Home Goods for Christmas gifts. Being a stay at home mom is still a challenge when it comes to our budget. Little entertainment and travel too. Still working on contentment! Praying and asking God for discipline. ..sigh. Learning to wait. I’M IN!! In the financial situation in my family it seems like money has wings. It disappears so quickly. My secret 13 is to put my faith and trust in God not money. My secret to a good life is to focus on love. To feel love, to give love, to receive love. I have found that when my love tank is empty I end up trying to fill it with shopping and other things. So every morning I spend time remembering the love I have received. I fill myself with that emotion until I can feel it take over me. This helps me to be able to manage my day, my emotions, my spending, etc. At the end of the day I spend time being grateful for all of the love that I was able to give back. One of the my best “love focus” is the feel God’s love wrapped all around me and to contemplate all he has done to show me that love. Thanks for sharing your secret. It really helps to bring things into proper focus. Paloma – thank you for sharing how you fill your “love tank”. You are so right! When we are not filled by Christ, we will look to so many other places! I’m in. I try to pray/converse with God through out each day. From an early age, Mama taught us to spend less than we earned, pay cash, and ALWAYS save ‘something’. When I moved out at 21, I purchased a used mobile home and paid cash. It was extremely tight and I was complaining to her about not being able to save. “Debbie, there’s always something you can save!” The next paycheck, after budget, there was $1.37 left so I put that in savings. It wasn’t much but… as she explained, a little bit over a period of time adds up. I’d love to have a copy of the book to gain new insights then share with friends! Thanks for the opportunity to win this! I try to prioritize needs and wants. I also go thru stores often wanting to much , put it in hand or buggy , but before checking out have talked myself out of it all. The rush of purchase is gone and I haven’t spent a dime. What an excellent reminder for the new year! I am pretty thrifty, but in the last year I’ve gotten away from that, so I needed this reminder, the book would be a great read I think. We love the thrill of bargain shopping and pieces of clothing are always assessed for wearability. If it is a piece that won’t be worn much, it better be cheap or it is a no go! Even with gas prices going down, groceries and utilities are going up so frugalness is a necessity! Another post of yours I needed! Your husband Greg reminds me so much of my husband. Although I didn’t grow up as frugally as you, the opposite in fact, (which in turn did me a huge disservice as an adult) I’m beyond thankful for the frugality my husband has taught me. And has taken me away from the “spoiled brat” mentality!! I know that feeling of wanting the particular item now, not later, despite your pact with one another of only purchasing with cash. But you’re so right in what you say, “The waiting we have experienced has given us time to appreciate the item before it is even purchased.” So true! Learning to pay with cash is the best method my husband has bestowed upon me. Not having to live with debt is such an amazing and freeing feeling. A feeling I would know nothing about without his guidance. In our family, every cent gets budgeted so it is spent wisely. Still, we make so little that none is ever left over at the end of the month. It is only by the grace of God that we get through each month without starving or without bills going unpaid. We thank the Lord each day for His provision in our lives. Secret #13: Same as my secret #1 🙂 PRAYER! I NEED ok WANT this books!! 😉 I am IN! We need to be more thrifty. Could really use this book! My secret #13 is to be content with what we have and what we don’t have. I used to be an art teacher u til I birthed my first child. I have been a stay-at-home mom since and haven’t regretted that decision. Money has been very tight and that isn’t very fun, but I have spent so much time,with my sons that we couldn’t be closer and they are godly young men. If all we have is hand-me-downs, I’m ok with that. God,provides what we need and sometimes even extras! Two years ago we won a 65″ flat screen smart television from our dentist’s office! You can imagine our shock and amazement! No one needs a TV that big, but God decided to give it to us anyway! The good life is all about getting close to God and family. Those are the things that really matter! I struggle with being content right where I’m at. My husband and I make a good living, but have no savings account. When we try to stick to a budget, it hurts my stomach physically. I know God can change that. My “Secret 13” would have to be saving money. I was raised by my frugal grandparents and learned at a very early age (saving account was opened with the money from the sale of my baby bed!) to never spend everything that you earn but to always put a little in savings each week. Thanks and God Bless!! I work a full time job now but as our children were growing up I was a homeschooling stay-home mom. I loved the challenge of finding ways to help our family save money. My Secret #13 was searching for ways to help like making my own laundry detergent, drying our clothes on the line in the summer, making home-made meals, etc. There are so many ways to cut costs when you stay home. Now that I’m woring I don’t have the time to do many of these things but I’m thankful for the thime we had when I was home. I’m in! Would love to read the book. We have 5 kids ages 22 y, 17 y, 14y, 13y, 9y old. I need to be more thrifty. So tired of being in debt. I’m in ! My (new) secret 13 is to focus on the things/activities that bring our family joy. We were getting bogged down by the activities and extracurricular we thought we had to be involved in. Each day seemed chaotic and rushed, so we decided to have a season of “no.” For us, that meant really listening to our children regarding the activities they really enjoy, and listening to ourselves regarding the activities we thought we should be involved with. They became obligations rather than things that enhanced our life. it is a continual process, especially as our kids get older and have more opportunities, but we certainly enjoy more evenings at home enjoying dinner together. So timely for the season God is waking me through. The envelope system is our #13. I am in the midst of reading Jen Hatwell’s book “7”– An Experimental Mutiny Against Excess in a season where we have two sons in private Christian colleges and work in full-time ministry. I feel that I am in a season of ‘observing’ things about myself and this world’s values and the Lord is beginning to teach me about ‘contentment’ in a deeper way. I would love a copy of this book, as I am starting a new life on my own, after 25 years with my high school sweetheart. Thank you. I don’t have a “Secret 13” but, I’d love to read this book. Starting in June, my husband and I will take our 2 sons on an RV trip from Texas to the Olympic Peninsula in Washington state. We’ll be on the road for about a 6 weeks or so. We’re relocating there and won’t have jobs, so I’d love to learn how to live frugally. My husband is a civilian contractor working in Afghanistan and I work full time, so we really don’t live frugal now, but in the future we will and I’d love to get a head start on how to do so. I love shopping for clothes and household goods at consignment shops and online rummage sites. My mother taught me this many years ago. I also subscribe to less is more and only buy what I really, really love so as not to clutter up my house. However, my weaknesses are purses and earrings. When I find I have too many to store them, I give them away! My husband and I have been married 13 years. Over the years we did not always have a Christ centered marriage and were prone to go into debt. My need to keep up with others and indulge myself created a terrible mess of debt and bitterness in our home. My husband worked hard overseas for a year to pay off all of our debt, and I turned around and got us into debt again. Thankfully the Lord has started to work in both of our lives and make us more dependent on Him. I wish I could say I don’t spend still, but I can say He is working on me. We have downsized our house, and have made a pact together to pay off the debt. We believe the Lord is calling us into full time missions and look forward to seeing what He will do in the future. I guess my Secret 13 is to think eternally. Our desire now is to go and serve in missions but it is hard to do with debt piled up. I didn’t see the big picture (the eternal picture) in the beginning. After 38 years of marriage, raising 3 kids and now watching 2 grand-daughters, I still have not found secret #13. I’m in! I would love to read this book! My husband and I fin frugality to be important in our growing family. We have learned that delaying gratification is HARD! It is something that we continue to work on and teach our children. We have found having our savings account completely serrated helps us not to dip in for impulsive on sale buys because I am definitely guilty if the “I need it now, I’ll never find a price this low again buy.” Waiting to save up and paying cash makes the purchase that much more of an exciting adventure. Teaching our children in a culture of credit cards is so important. I love reading about what helps and works for others that I might adopt for our family. Thank you for your blog and encouragement it us a blessing to me! Oh yes yes I am in. Both feet and the rest of me. Our family grew from 4 (for 11 years we were a family if 4) to a family of 8 in 4 years and it has been one heck of an adjustment. I examine the lives of older women, who have chosen to do without, but have attained grace and an understanding that comes from examining their lives in light of scripture. These ladies have something preciuos, that can’be bought, but we would all like to have! I think you are for sure on to something. My desire is to be closer to the Lord and live a life that honors and glorifies Him. I agree that I have seen women who this seems to be their focus in life and they seem to have so much more joy than those who chose a life of instant gratification from thing. Thanks for sharing! Until recently I didn’t have a Secret 13, and certainly wasn’t good with money and giving, let alone being content with the life I have. A major life change has really altered my perspective and helped me find God again. That being said, I think my Secret 13 is TRUST. Trust in God, trust in His love, trust in His desire to give you a life that is better than anything you can imagine. I am learning that if something I want is out of reach, or someone I love no longer loves me, I need to trust that God has a better plan for my life! I would LOVE to read this book! Thank you for your blog! I have been thinking lately that we ned to get our money under control and this book sounds like a good step towards that. I’m in ! It really is, Terri! I have read it once and am getting ready to read through it again! I’m not sure it’s a “secret 13” but we save money by not eating out at restaurants. We have 4 kids and it gets pretty expensive for all of us to go out to eat. I can make dinner at home for a quarter of the price or less! Having margins. When I have good margins in place, there it time for planning (food) and the opportunity to give doesn’t take such a back seat (in the midst of chaos!). For our family, it starts with focusing on God and seeking His plan for us while learning to improve on money management. It is a struggle and a work in progress! Thank you for sharing your thoughts! I don’t think I have a secret 13. I wish I did! Five kids, tons of hand me downs, thrift stores, everything clearanced, couponing and more. Finances still leave me frustrated. I try to take a step each day in realizing that I have to enjoy what’s most precious in life, my family–and to stop worrying about finances–and boy, is it hard! It’s a fine line between being savvy in spending and being stressed. I’m in! As a child of parents who grew up during the Great Depression, i was taught to refrain from buying unless I had the funds. Having a child in college and medical bills from three surgeries, it is hard not to use credit when a tire blows out or the children need clothes. I have learned not to worry and know that God will provide if we are not irresponsible. I know, also, that this is just a chapter in our lives that will help us be good stewards as we get older. I’m in. Have raised 7 children , 6 of them boys. Always looking for a bargain or a way to strech what we had. My husband & I can spend with a vengeance so we’ve had to really learn about frugality when the financial roof caved in. One thing we learned was trust. Just trust God for everything. The other is to be faithful in our giving & tithing. That was really hard for 2 people that didn’t grow up with that but we have been greatly blessed because of it. I have found though, that I still “want everything I see” & only bits of contentment. I will definitely be reading this book. Thanks so much for your post. Pam, thank you for much for being vulnerable! I have discovered a cycle to my contentment level. It has everything to do with how much I know about what is “in”. Whether it is clothes, decorating…when I discover an area area where I’m not current, I start “learning” and then I start shopping. The more I can stay out of the stores on off the online shopping the better off I am! Yes. Absolutely. It’s like I have find the perfect whatever. I also throw out all the catalogs & flyers without opening them. My #13 is looking at everything as a special treat – If I’m focused on how great it was to have that free BR ice cream cone on my birthday, that joy carries me through to the next day when I am then focused on what a treat it is to walk around in the snow…. Thanks for sharing your thoughts and your life with us! Thank you for your comment on IG today! I’m in!! Busy day indeed but…I’m in! My 13th secret to the good life is to take $10 of every paycheck (after the 10% for tithe) and that is my spending money. The rest goes to debts, daily expense, savings, etc. The $10 is mine to spend now, or allow to roll over to spend towards a bigger expense or want. It has helped greatly with my impulsivity because I am not setting myself up for that guilty feeling after every purchase if I have saved up the money for it and used the money I designated for it. Speaking from an impulsive and shopping addicted person, it does work! I’m in. I believe there is so much to learn about spending well and in budget. Jen – you are so wise! I love this Secret #13! I still am looking for the 13th secret! I found this in my email today at just the right time! 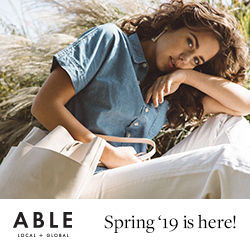 I had another internet window opened up to one of my favorite clothes stores and was having a hard time denying all those wonderful sale prices. We just booked a vacation for later this Fall and I wanted to snag some dresses before the prices went up again as warmer weather approaches…the only problem was I knew I didn’t have the $ set aside in my budget so I was reaching for the plastic. 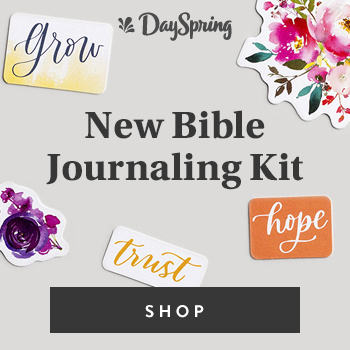 I remembered I hadn’t done my devotions yet this morning so I quickly opened my email (hoping to not be too long in case something sells out while I am “away”). As I read this post, I audibly said “there’s my answer, Lord. Thank you!” I shut the wallet and the open internet window with all those clothes in my virtual shopping cart. Both my husband and I tend to be impulsive buyers but we are slowly learning. I (we) would love to win a copy of this book and a necklace as a daily reminder for me. Thank you for all you do and share with us! Thank you so much for sharing your story, Sarah! God is so cool! His timing is always perfect. And you will be blessed for being obedient! Yahooo! Sometimes we do a great job of waiting but other times we don’t. We could use this book. I’m working right now on getting our grocery bill down. Being able to say No! Not only to my kids, who might ask for extra things at the store, but also to myself! I’m very impressed with the only cash lifestyle. That was not part of my training and we have struggled as a result with credit! Starting Financial Peace University tomorrow and can’t wait! Living the good life…well never giving up on trying to life the “God” life in all things! My secret 13 is to not go out to restraunts all the time to eat but cook at home good wholesome meals. Make it a treat once and awhile and really enjoy it when you do that. Gratitude is my Secret #13. Thank you, Lynn, for sharing with us the wisdom God has given to you through the ups and downs of your life. 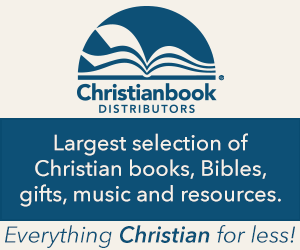 Thank you for introducing us to books written by others who share what God has taught them. I am also grateful for each of the women who choose to comment on your blog and share a bit of their lives and God’s work. I get to learn from all of you and give thanks and praise to God for His work. Good Life Secret…………… Give your “best” gift. Example. Our son had a young friend who was a single mom and just starting out in her own place. He said “Mom, I asked her if she needed anything and she said they only have a few towels.” I went into my linen closet and pulled out 6 brand new towels. He said “mom, you just bought those for your own bathroom.” I said, “when you give a gift, give your best gift.” I could have reached in to the closet and pulled out older towels that were still in good shape and this young mom would have been completely happy with them, but how much nicer for her to start with something new! The gift that I got back is that our son LOVES to give good gifts. He turned out to be a very generous person. Thank you for sharing that story! I love that and I can’t wait to share that with my children. Honors others above yourself… definitely a great way to live!! Always find a way to give first! Then ask God what He would have to you to buy for yourself. 🙂 It is always “better to give than to receive”. I have always found this to be true! My retail therapy days are long over. I used to need somewhere to go download after a long shift at work. I told myself going to the store was way more healthy than going to the bar. So that’s what i would do to download. Well needless to say, i never felt refreshed only broke afterwards. Now i park at the store, sit in my car, and do my bible study 🙂 I tell everyone I am busy at the store and can’t be reached. But this time I really feel refreshed when I am done. At no financial cost. That is my #13. What a fresh idea! Love it! Thank you so much for this post! God definitely humbled my heart and I realized that as much as I’d like to think I’m frugal and focused on Christ, my walk with him is more me centered than putting Him first. 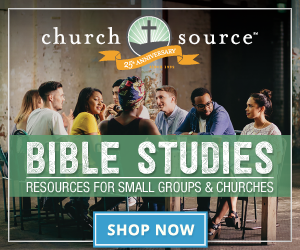 We budget, save, coupon, ad match at the big super center grocery store, shop at God will… but the times when I felt the most content and in the center of God’s will were when I was prayerfully seeking Him. Those were the times when I dug deep into His word, , and saught how to be used by God to rebuild the “walls” in other people’s lives (Nehemiah Bible Study). My secret #13 is to walk humbly with God, and realize that everything is a gift. Then, with God’s guidance, look for ways to use my God given gifts and treasures to bless others. When I first got out of school between school loans, rent and low income I learned to squeeze a buck. Once I got married, got a better job and money was easier to come by I was easily tempted to impulse buy. Not to say I still don’t have some impulses, but I’ve learned to make myself wait to see if it’s really something I need. I have also learned to take my giving off the top instead of what’s leftover and I feel that is definitely where God wants me. Would love this book— we have always tithed first and budgeted with what was left and blessed beyond belief! My #13, PRAYER! I would love this book! Shopping consignment sales, especially for children’s clothing, has helped us save so much. Thanks for this opportunity! I’ve always had a fear of being “stranded”. Being stranded financially is probably the worst of all, because that means I either have to go borrow some money or barely make it through the day, especially when emergencies came by. Asking for money has never been in my nature, something I was brought up. It confuses me when it seems that people who don’t have enough kept giving. And made me ask myself why is that. I could never part with money if I wasn’t well-off. And that always had been a worry because being a student as well meant I have to be as thrifty as possible; giving away money just like that never even crossed my mind! But I came to a realization when I experienced kindness from people who barely have enough. And it touched me greatly. Because at the end of the day, what I own is never mine. It all belongs to my Father, who GAVE me everything I own now. And I’ve kept it all on the account that I don’t have enough, so I cannot give. He has blessed me with everything I need, and now friendships in a new place in a small town. These people have truly demonstrated that they are willing to give everything despite having nothing. To have no fear of being “stranded” because God will take care of them. I’m in!! Thanks for all the great insight. I am in the process of finding my secret 13. Your book is sure to inspire me! I’m in! i too like to try and wait to save up for something i want..
Would love to win a copy of this book. My Secret 13 is to ask myself if something I want to buy is a want or a need. If it’s a want, am I willing to put the money aside as though I’ve spent it and then wait a week to see if I still want it. Even after buying some things, I leave them in the bag with the receipt for a few days to make sure I feel comfortable with the money I spent. Won’t work for some, but it helps me stop buying compulsively. I am in . . . but what I am hoping and keep praying for . . . I have food allergies so I really don’t have “choices” of bargains. With so limited of a choice, praying that God will open my eyes to see, maybe even through the book you have helpful hints? Thank you so much. I’m so “IN” I could do a flip (and that would be VERY difficult)! God is so incredible in His timing. Need this! I’m in. I wish I had a secret to share, but I’m struggling with cutting spending and am here for inspiration. Today’s post was very encouraging. I’m ready to cut back. I truly believe that we can often do without a lot of things we feel we just “have to have”. I’m hoping to pass this wisdom to my 14 year old daughter! Thanks for the wonderful message. I always look for a good sale if there is a need for an extra sweater or better yet, for gifts to send to loved ones for special occasions like birthdays and the holidays. When the occasion comes around, I always have something on hand that will satisfy and bless someone. I’m in. I don’t have a #13 yet, looking forward to starting fpu as soon as possible..I’ll pray for God’s wisdom on this. In the meantime, I’m in! Thank you for this opportunity! For Christmas one year my husband and I decided we wanted to pay off our debts. My husband was getting transferred and we really wanted to start off with a clean slate. Our children were in middleschool and old enough to understand our goals. So I decided we would each get 3 pieces of paper with our names on them. Then we would write the word Need on 1,the word Want on 1, and the word Spiritual on the last one. We folded our papers and put them in a bowl to draw from. Each one of us would draw 3 pieces of paper from the bowl taking turns to draw and of course putting back the paper if it had our own name on it. We set a price limit on the amount we were to spend ( like $10) on each item. So each person would receive a gift of something they really needed, something they really wanted, and something spiritual. Christmas Day came and I was brought to tears on the thought that went into each gift! I still well up when I think of that particular Christmas. My oldest daughter gave me a snow baby for my gift of want (she new I really wanted to collect snow babies),my son gave me a necklace with a cross on it for my spiritual gift, and my youngest daughter gave me slippers ( because I always complained about my cold feet). I’d like to say I remembered each gift that we all received that year but it has been at least 30yrs. ago. Now as special as that Christmas was for me, it was equally disappointing to the rest of the family, Because they were use to getting so much more. However it really taught them how fortunate they really were and made them remember the real reason we celebrate Christmas was Christ birth. Oh I am so IN too! I’m in. Taking baby steps into this new life of going it alone. Hoping to show my daughter good choices. i dont have any steps i go by, but i really would like to win your book, it would help me and my family out to learn what is in your book.thank you for the chance to enter your contest. God Bless and have an Awesome day! Set your eyes on what you need or even want. But remember to thank God first and see how he answers your needs and wants. Watch for a surprise from the One who supplies all our needs. I have been out of work since March 2013..my Dad who was living with us has since passed. Money is extremely tight..to say the least. There are days when I am not able to afford a loaf oaf bread BUt God has been faithful to us, hallelujah to His Holy Name, Jesus! We have been out of cooking gas since September and I have been using coal and what a blessing it has been as my daughter finds it so intriguing (she is now 12yrs and says the meals tastes better) when cooked this way. The irony is that I have to put this coal stove on the back step of the house and if it rains I have to take the stove in our laundry room but I have learnt to really be content in whatever the situation. nIt has truly been a blessing as this mode of cooking is done by others everyday in our country Jamaica!!! I am really enjoying it as I truly believe that God had bigger/better blessings in store and I am being humbled by all this. Bless the Name of Jesus!! I need to learn how to live well and spend less. Lately I have been spending just for that rush. That having things makes me feel important or “enough”. My Secret #13: I spend less when I’m on my knees, eyes closed, and hands clasped. If you like to impulse shop online I dare you to try it! I haven’t purchase a single item in this position yet., not one designer handbag or even a tube of mascara. And it’s a secret that keeps on giving, the benefits are often miraculous and eternal. Please do count me in!